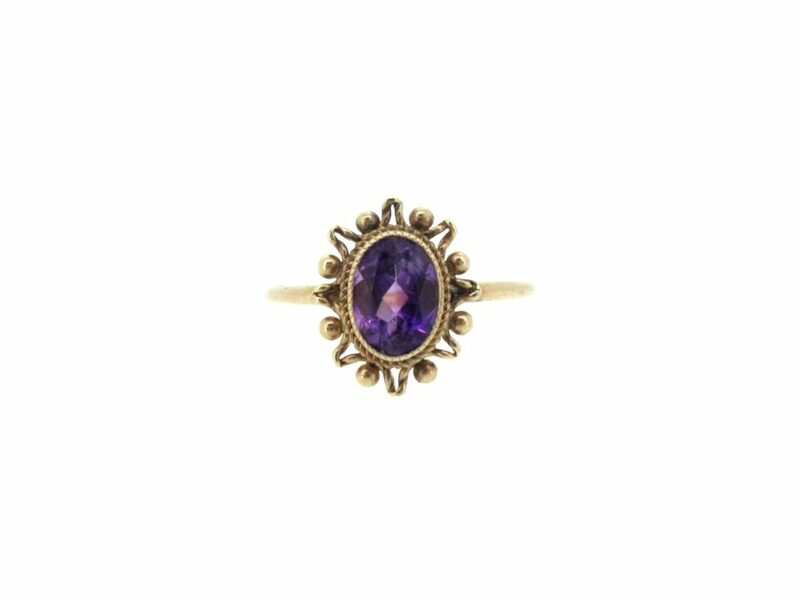 An oval cut amethyst in a beautifully ornate setting, with mill grain edging. 9ct gold. Setting dimensions approx. 8.5mm x 10mm. Pre-owned.